If you're in the market for a new four-player multiplayer game that combines three of your favourtie things - breakast food items, exorcisms and Breakout-style gameplay - then we've got just the thing. 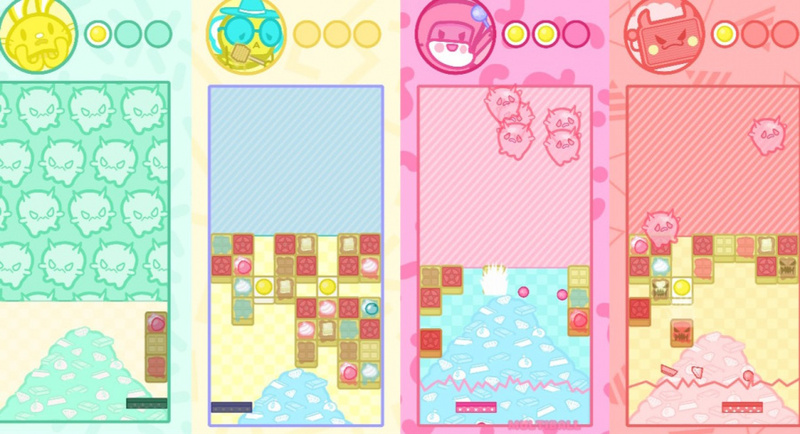 Say hello to Breakforcist Battle, in all its hyper-cute glory. Coming from two-person dev team Lucid Sheep Games, the new indie title seemingly has a setup for every combo of friends. You can play competitively with up to four other players, or try your hand at two-player co-op on the same playfield. You can play one-handed, or even just by titling the Switch back and forth. With a stream of zany powerups to help you save breakfast from cutesy evil, Breakforcist Battle is a tasty addition to Switch's upcoming menu. So that's what it is. Well, might be something to play with the rapidly growing niece. Lovely art. That's some very tightly controlled pastel colors. Unless this turns into Sausage Party and all the food people start getting brutally killed, I doubt it should have a T for Teen rating. @patbacknitro18 It says "Suggestive Themes". Maybe ESRB misunderstood what kind of wieners are in this game or maybe the devs tried slipping some parental bonus humour in there, like cartoon writers sometimes do. I wish I liked breakout. This looks fun. Gimme a match 3 or tetris style one! Oh well, not everything is made for everyone, and it shouldn't be. Just really dig this concept. @SmaggTheSmug Have you not played the rated E Mario RPG games? Those can have some VERY suggestive themes in them. Not to mention zelda also has some very suggestive themes as well. Let us not forget the Gold Mine that is Majoras Mask. @SmaggTheSmug Then ya Nintendo has hidden more adult jokes in their rated E games then you would get from an episode of Family Guy. You had me at "exorcism"
I think you would also like Psikyo's Gunbarich, read NintendoLife's review. I love a good breakout game, however the video made my head hurt...this looks a little too busy for me. What does breakfasts and exorcisms hafta do with each other? Whatever, this looks cute and I like the style of Tetris Attack games.